Elm Park Golf & Sports Club’s development project included the erection of an ‘Air Supported’ tennis hall covering to the existing external courts, material alterations to the junior clubhouse to provide a unisex accessible WC/Shower/changing room and ancillary works at Nutley House in Donnybrook, Dublin 4. 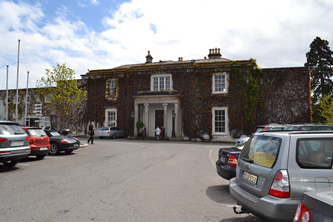 O’Herlihy Access Consultancy advised and supported the design team in relation to the overall accessibility of the proposed works and prepared the Disability Access Certificate application. The project, led by deBlacam and Meagher Architects, ran from March to July of 2012.